I live in one of the Midwestern states so I get to experience four distinct seasons. Autumn is my favorite. 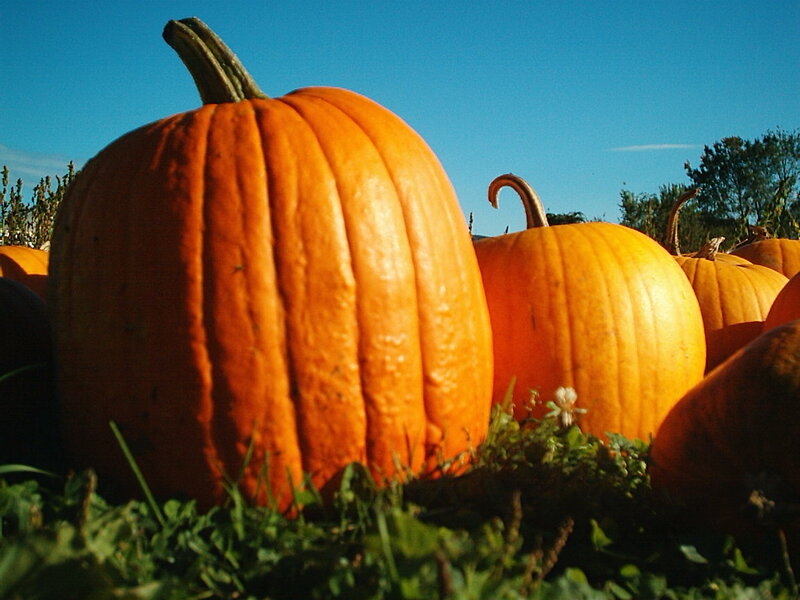 Autumn brings a harvest of some delightful produce as well, and pumpkins are ready about now. Or getting there. Those delightful places where they sell apples, cider, donuts, and pumpkins open up during September in my home state. People flock there. Pumpkins will grace porches soon–just as they’re picked or carved with a face. They provide a pantry item when we pack them up for the freezer. And in my opinion, eating pumpkin pies just makes more sense during autumn. This is one of my favorite recipes using pumpkin. The cream cheese frosting makes it really special, but even without it, the bars are exceptionally moist. Enjoy! In a large bowl, cream together eggs, oil, sugar, and pumpkin. In a separate bowl, mix together the dry ingredients. Add flour mixture to creamed mixture and blend. Spread mixture into a 13” x 9” pan and bake for 25 minutes. While pumpkin bars are baking, make the frosting. Cream together the cheese and butter. Mix in the vanilla. Add the confectioner’s sugar and blend well. When bars are cooled, spread frosting on top. If you want to use your own fresh or frozen pumpkin from your pantry, you probably can. I suggest using a food processor or blender to “whip” it into shape. Be sure all the stringy fibers are removed for the best texture.